The Metro Health & Medical Preparedness Coalition | Maintaining a regional intersection between public health, emergency medical services, healthcare, and public safety. 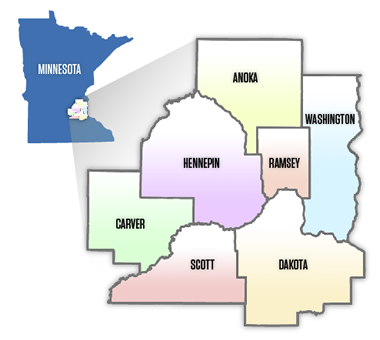 The Metro Health & Medical Preparedness Coalition comprises hospitals, clinics, and long term care facilities; public health and emergency medical services; Homeland Security and Emergency Management, and emergency management agencies serving the seven-county Twin Cities metro area. We Are: Maintaining a regional intersection between public health, emergency medical services, healthcare, and public safety. Facilitating preparedness and assisting communities to ensure operational sustainability of healthcare services during a crisis or emergency.